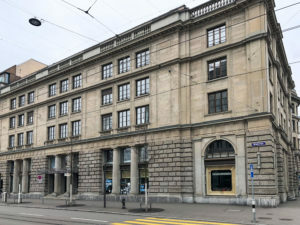 Zurich-based blockchain hub Trust Square is expanding its Bahnhofstrasse location to cover more than 3,000 square meters, offering 300 workstations to startups and researchers. The move is set to turn Trust Square into the world’s largest blockchain hub. An open day will take place on September 20, 2018. In the fourth quarter of this year, Trust Square will increase its capacity by renting additional office space at its current location. Additionally, it has renewed its lease at Bahnhofstrasse until the end of 2019 and is currently in discussions about a further extension. In parallel, Trust Square is assessing options for a longer-term location. “There’s a huge demand for a place like Trust Square. We’re particularly pleased about the diversity and quality of companies and projects that have taken up residence at our hub,” said Trust Square co-founder Daniel Gasteiger. Launched in April 2018, Trust Square currently provides 220 desks that are fully booked. Some 40 startups and research projects are currently working at the hub on various blockchain use-cases. These include Nexussquared, ConsenSys, and Procivis. NEO and Circle will be joining the hub this month. 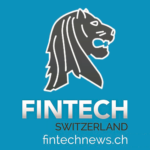 The hub, which aims to bring together startups, researchers and industry players to showcase Swiss-made blockchains technology, works closely with public agencies and partner universities including ETH Zurich, the Universities of Zurich and Basel, the Universities of Applied Sciences Rapperswil HSR and Lucerne, and the Business and Economic Development Division of the Canton of Zurich. “The highly dynamic development underscores the importance of Zurich as an international blockchain location,” said Carmen Walker Späh, head of the department for economic affairs of the Canton of Zurich. 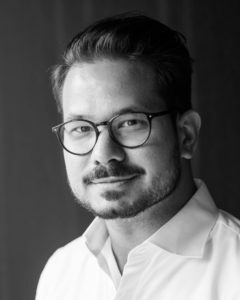 In an interview with Fintechnews, Trust Square’s co-founder Semih Kaçan shared his ambition for Trust Square, his views on the future of blockchain in Zurich, and the importance of government support in improving adoption of the technology. You have just announced an expansion of Trust Square, calling it the world’s biggest blockchain hub. What was the motivation for this step? Since its launch in April of this year, the concept of Trust Square, which is based on partnerships with leading universities and corporations and close collaboration with the local government, has shown itself to be a big success. We managed to build up a local and rapidly growing blockchain community with members who appreciate this type of work environment. 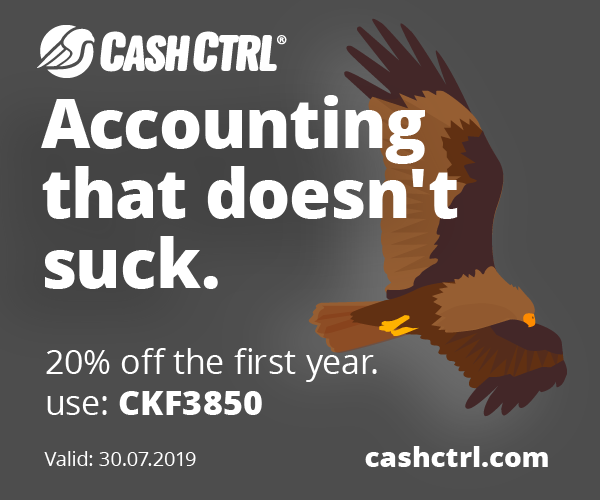 Since all our desks have been fully booked since the start, we didn’t hesitate when we were presented with the opportunity to rent additional office space. The expansion will allow us to serve more of the huge demand we’re facing. What sets Trust Square apart from other co-working spaces that focus on blockchain technology? I believe Trust Square has a truly unique DNA. We may appear somewhat limited as we exclusively focus on blockchain. At the same time, we’re extremely broad and open as we allow for the entire spectrum of this technology to be explored at our hub. We care a lot about the community and the ecosystem we’re building, and we provide as many opportunities as possible for our residents to interact and exchange knowledge, be it in the form of workshops, meetups or just a round of drinks on our rooftop terrace. This has led to a number of high-profile names taking up residence at Trust Square, such as NEO, Circle, B3i, Bitmain or Lykke. How do you collaborate with other blockchain locations in Switzerland? Collaboration between the different blockchain locations is crucial and benefits everyone involved. 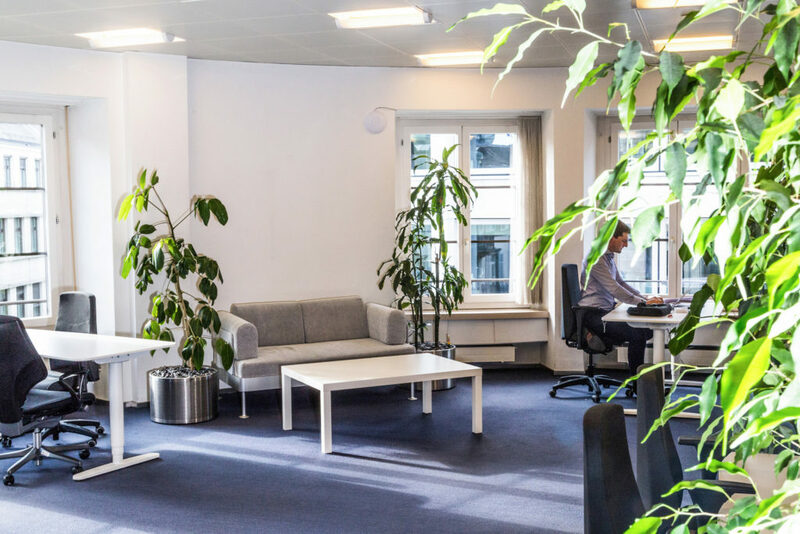 We work closely with Crypto Valley Labs Zug and share a number of desks with them to let our residents work from different locations. We also maintain a partnership with Liechtenstein-based THE HUS.institute and interact with other blockchain locations on a more informal basis. Why do you think Switzerland and Zurich in particular are perfect places for blockchain? Switzerland is known for its political and economic stability, paired with a high level of know-how in finance and technology. Add to this a strong regulatory framework and you have an environment that has attracted blockchain startups since the very beginning of this technology. For Zurich as Switzerland’s main commercial center, the close proximity to potential clients and strategic partners is a huge advantage. But equally important are the strong local government support to create a lively blockchain ecosystem and the exceptional quality of life you find here. How is the Canton Zurich involved in the project and do you feel that blockchain is now definitely on the political agenda? With the head of the department for economic affairs of the Canton of Zurich, Carmen Walker Späh, and member of the national council, Doris Fiala, we have two leading politicians who understand the future potential of blockchain and strongly support our efforts. The Canton of Zurich has been very supportive in the buildup of Trust Square. Blockchain has definitely made its way onto the political agenda and members of our community get involved regularly when it comes to representing Switzerland’s interest in blockchain-related discussions with delegations from other countries. How can blockchain companies apply for working space at Trust Square? Are there any fixed criteria? Applying for office space is straight forward, either get in touch with us via our homepage or simply drop in at Trust Square and talk to our office manager. In terms of criteria, your company’s business model must be based on blockchain technology, your business must be a Swiss legal entity, and there must be staff working at Trust Square. We have no interest in accommodating letterbox companies. What’s the typical type of company or project that takes up residence at Trust Square? There’s a wide range of companies at Trust Square, from fintech to blockchain infrastructure and e-government services. It’s this diversity that adds a lot to the attractiveness of our hub. We really welcome projects and companies from all areas of blockchain. And as we grow our list of residents, the diversity will further increase. You are also a resident at Trust Square with your own company KACO. Can you give us examples of the projects and blockchain use cases you are currently working on? KACO is a strategy advisor and blockchain boutique with a focus on asset management and football. The latter is an area you may not instantly connect to blockchain. But blockchain in football offers huge potential not only for football clubs, players and fans but also for football associations. Applications like a fan ID, fan voting and automated loyalty programs foster fan engagement, smart contracts increase operational efficiency, while blockchain-secured financial history and fee breakdown will strengthen financial transparency, preventing money laundering, bribery and corruption. 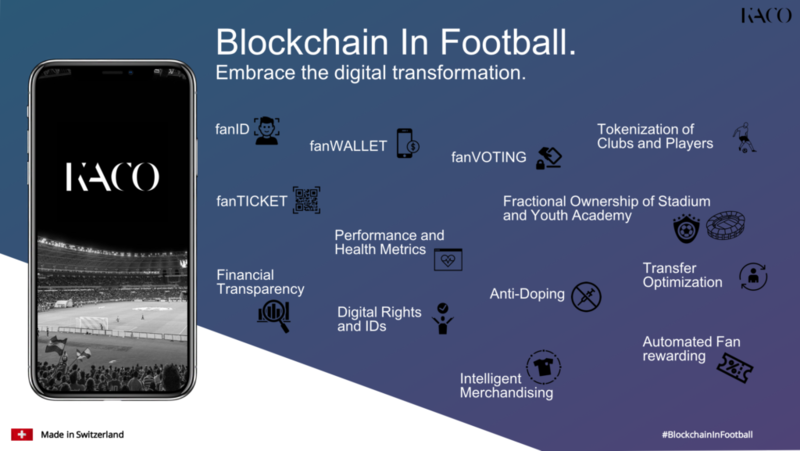 Can you tell us how the application of blockchain in football would look like in the eyes of a football fan? When I arrive at the stadium, I identify myself with my electronic fan ID stored on my mobile phone. Connected to this ID is my personal and unique ticket, safely stored and easily verifiable on the blockchain. This way, the club can prevent fake tickets from being sold and identify violent hooligans to deny them access. Maybe my club wants to know who I vote for in a “man of the match” competition, or even ask me which is my favorite jersey design for next season. Both of these questions could easily be asked to fans on the fan ID platform. Finally, I believe tokenization of players and clubs will take the digital fan experience to an entirely new level. What are your goals for Trust Square until the end of 2019? Trust Square’s overarching goal is to build trust in society. 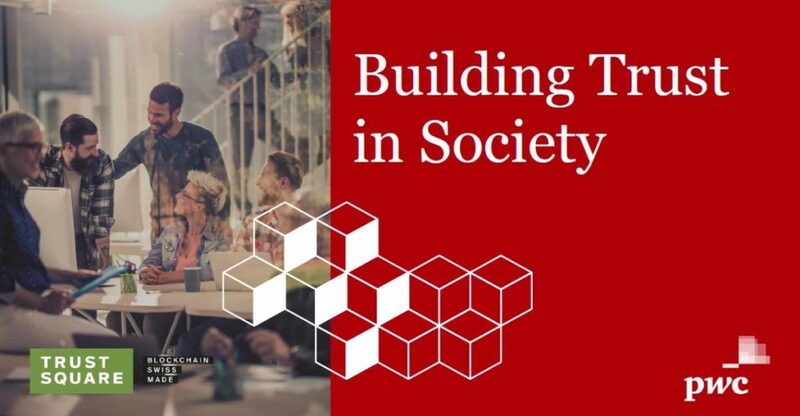 That’s also why we have launched the Building Trust in Society event series together with PwC Switzerland. We want to continue educating people about blockchain in workshops and meetups, and foster a close link between academia and the residents here at our hub. Beyond that, we are looking into opportunities to take our approach to other countries and replicate our successful model, while, at the same time, further strengthening Switzerland’s position as a blockchain location. What are the biggest hurdles for Switzerland to unlock its full potential as a blockchain location? There are a few things that make it harder for blockchain ventures to establish their presence in Switzerland. Limitations on work visas, for example, or the fact that it can be difficult for blockchain-related startups to open a bank account. 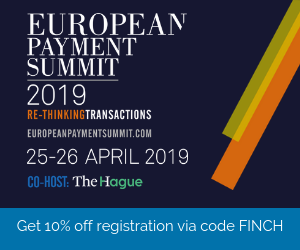 Such hurdles could also be seen as opportunities, and we would be happy to work with banks, for instance, to help find ways to overcome them. On September 20, you have an open day. Can you tell me who should join and what visitors should expect to see? Our doors will be open for everybody who has an interest in blockchain, its future potential and the community that has formed around it. You don’t have to know anything about the technology. In fact, we’d love it if people came to visit us because they finally want to know what all this blockchain talk is about. Our residents will show the different projects they’re working on to provide visitors with an idea how blockchain applications can look like. We hope to see you at Trust Square!